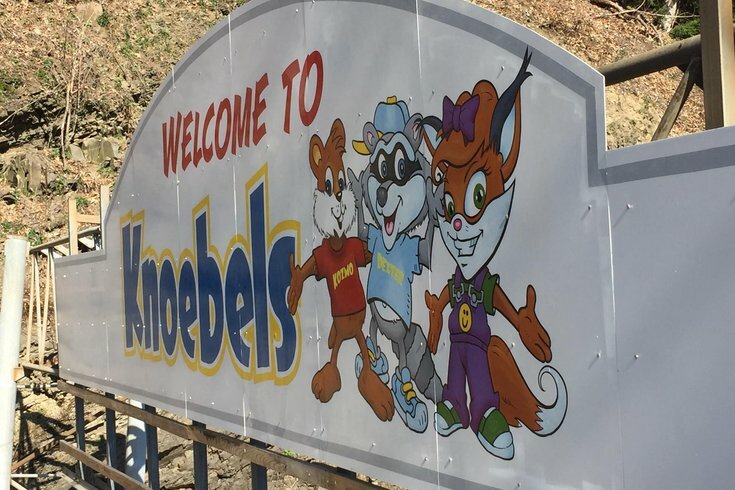 The sign for Knoebels greets visitors to the amusement park in Elysburg, Pa.
As one of the longest-running and most treasured amusement parks in Pennsylvania, Knoebels deserved the honor it received in 2016 when it was named the best family park in the United States. Given that the park is situated in the woods of Elysburg, it's not surprising that native wildlife would occasionally be part of the Knoebels experience. Last Thursday, it came a little too close for comfort, according to PennLive. Knoebels spokeswoman Stacy Ososkie confirmed that a deer was found inside the pool area of the amusement park's Log Flume ride, a favorite for visitors of the waterpark section. Fortunately, the animal was found early in the morning before the park had filled with guests. Ososkie said the deer apparently jumped over a four-foot wall or climbed a ramp to gain access to the park. From there, it appears the animal drowned in the pool, which reaches a depth of up to 41 inches at its highest.